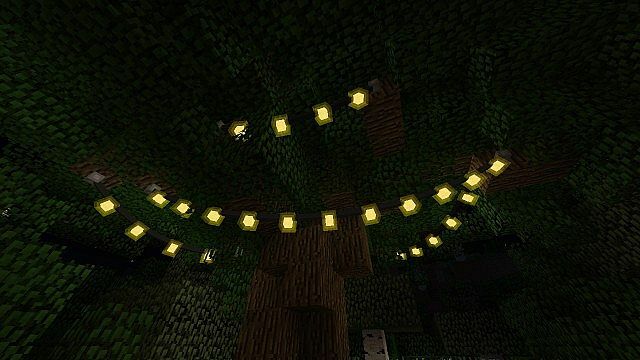 The Fairy Lights Mod, created by the developer: paul101, adds in new hanging lights to the game. The mod is a perfect install for this upcoming Christmas, and works really well with a variety of other mods. The fairy lights can be adjusted in regards to color, length, style and even whether or not they twinkle. 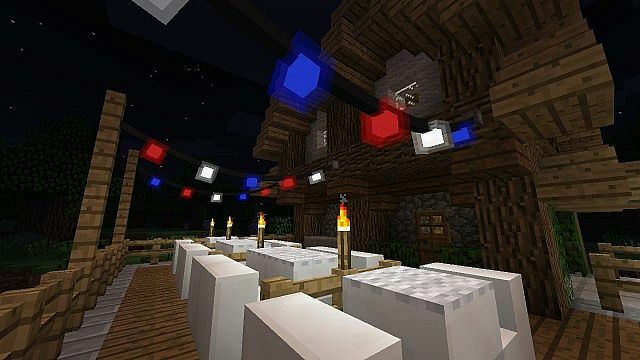 To use the Fairy Lights Mod you first of all need to download and install this mod with Forge. Then, once you open up your game all of the mod’s features should have already been automatically updated. The mod is currently available with Minecraft 1.8, so therefore should install very easily. The Fairy Lights Mod is a brilliant modification created by the developer Paul101. The mod adds in two types of fairy lights, curved, and uncurved. You can craft the lights with string and iron ingots. Then, using any dye, up to three, and any space in the crafting table, you can altar the colours. Adding glowstone dust to the mixture will allow the lights to sparkle. Next, download the Fairy Lights Mod and drag and drop the .zip files into the ‘resoucepacks’ folder. There are currently no public changelogs for the Fairy Lights Mod. The developer released all of the features for the mod upon initial release. The mod is going to be updated soon however, and the developer has many things in mind!